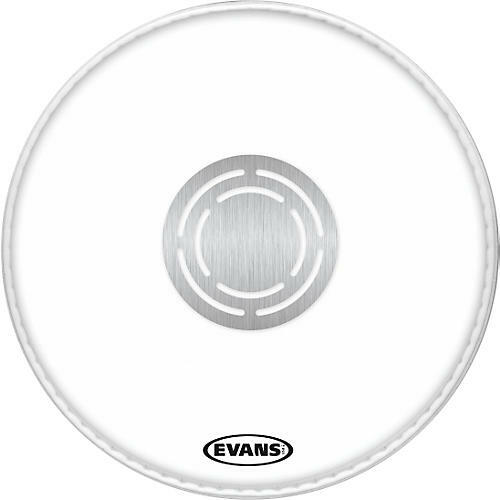 Evans Power Center Clear Batter Drumhead 10 in. Evans' Power Center Clear drumheads feature graduated film thickness (10mm film for heads sized from 6"-12" and 12mm film on 13"-18") and graduated dot sizes to create a balanced sound across the kit. Like Evans' popular EC Snare heads, the Power Center Tom Heads use the same stress-relieved metalized dot on the underside allowing the replacement drumhead to flex and vibrate more naturally for an unchoked resonance. 10mm film for Evans heads sized from 6"-12"
12mm film on Evans heads sized from 13"-18"